In this post I will review the established forex broker FX Primus. 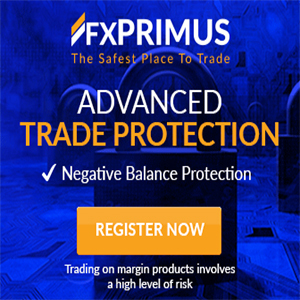 FX Primus prides itself on being the self-proclaimed “safest place to trade”. FX Primus spreads start from as low as 0.1 pips with 0% fees on traders’ deposits and withdrawals. They use third party monitoring for safety of client fund by partnering with Boudica Client Trust who monitor client withdrawals. This helps to ensure that client withdrawal requests are executed as quickly and efficiently as possible. FX Primus is a regulated entity whilst being a member of the Investor Compensation Fund (ICF), this effectively means that client funds are protected up to €20,000. Furthermore, as another added safety measure, Fx Primus has recently introduced a professional indemnity insurance of €2.5million. FX Primus have won multiple forex broker awards including the Most Trusted Broker Award from MENA in 2015. This helps to show the longevity of FX Primus. Where FX Primus may not be the largest name in the forex broker industry it is growing at a rapid pace and the fact that it is not one of the largest means that they can allocate more time to individual client needs and focus on providing superior execution through their liquidity providers (LP’s). 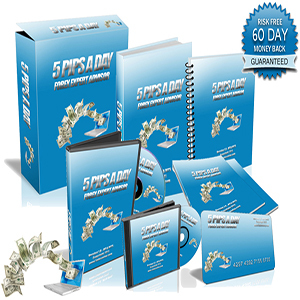 FX Primus offer the worlds most popular forex trading platform in MetaTrader 4 (mt4) which is very user friendly and has a small learning curve. 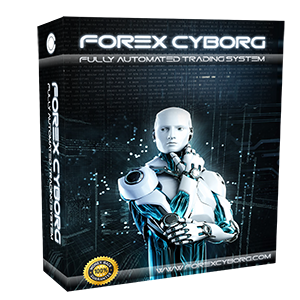 Furthermore, mt4 is the platform of choice for nearly all forex robots and manual forex trading systems, thus it can also be very beneficial to use for these reasons. 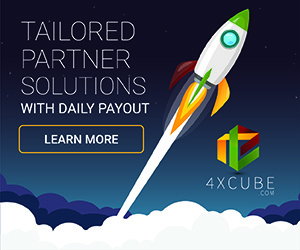 FX Primus provides the mt4 trading platform for Windows, Mac, Android and iOS mobile devices whilst MT4 WebTrader also available through them. FX Primus provides traders with over 120 instruments to trade including forex currency pairs, commodities, indices and equities. You can start trading on a FX Primus demo account to begin with to test the trading conditions which from my experience are very good. Although, keep in mind that demo and real live trading account conditions can vary due to the artificial liquidity of demo accounts which can lead to differing slippage and spreads. That being said, FX Primus has some of the most competitive spreads and commissions available to the average retail forex trader. You may even open a small real live trading account to test the real trading conditions at FX Primus which you are likely to find quite impressive in comparison to some other forex brokers. Fx Primus offer a wide range of different account types to suite your trading style and the size of your trading portfolio. They understand that each trader has their very own specific needs and can provide trading accounts accordingly to meet your individual requirements. 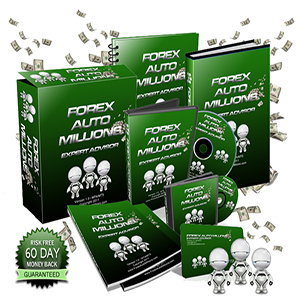 FX Primus main accounts are the FX Primus Variable and the FX Primus ECN Premier ($500 minimum deposit). I would always personally use an ECN forex trading account for the lowest spreads possible direct from the liquidity providers with no dealing desk and also for superior trade execution. Please refer to my ECN forex broker guide for more detailed information on this subject. 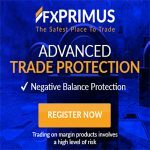 FX Primus also offer the FX Primus Premium Account for the more advanced forex traders amongst you although trading conditions in my experience are good across the full spectrum of accounts. Commission on the FX Primus ECN Premier account are competitive at around 1 pip per round turn. There are no commissions on the FX Primus Variable Spread account but as with most forex brokers, this usually means slightly higher spreads. In the long run, I have found ECN account types to work out cheaper in terms of trading costs. FX primus accounts also include a number of additional benefits such as daily market outlook, SMS alerts for your trades, one to one consultation with market specialists, mt4 trading tools training, live market update telephone calls and VIP trading signals. What leverage do FX Primus offer? FX Primus offers different leverage options depending on your account type and account balance. The leverage offered is from 1:1 to 1:500. Just make sure that you have a complete understanding of forex leverage before trading with any forex broker and it is advised to not over leverage your trading account due to the risks involved with trading. What deposits do FX Primus offer? FX Primus offers a wide range of deposit methods with zero fees. FX Primus aim to allow traders around the globe to fund their account with trust, safety and confidence. Deposit methods include bank transfer, local wire transfer, credit cards and e-wallets such as Skrill, Neteller, bitpay and more. Deposit size starts from just $100 minimum and transactions can be processed in as quickly as just 5 minutes. What regulation does FX Primus have? Overall, FX Primus is an excellent choice for a forex broker offering the mt4 trading platform in my opinion. The support is second to none with very rapid response times and there are variety of account options and deposit methods to choose from for your convenience. The FX Primus spreads and commissions are very competitive and whilst they are not the largest forex broker in the world this does mean that you can get a more personalised forex trading experience especially with the vast array of educational forex tools included with trading accounts at FX Primus. You can open a FX Primus demo or real trading account here. Next Next post: What are Forex Spreads and why are they important?